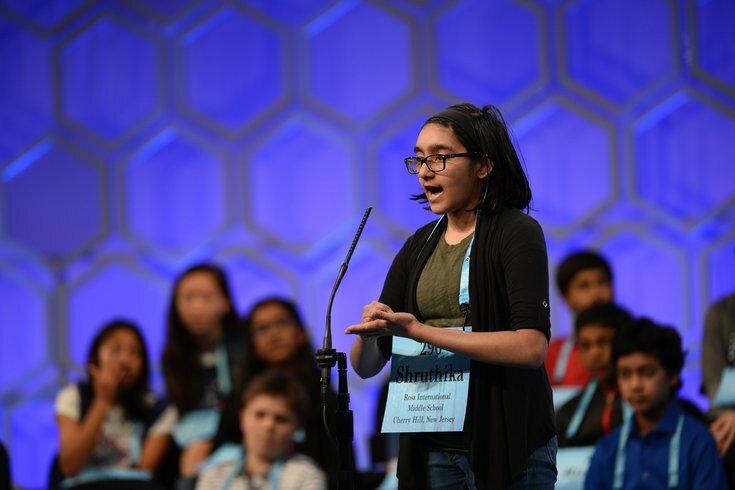 Shruthika Padhy from New Jersey spelled the word silenus correctly during the 2018 Scripps National Spelling Bee at the Gaylord National Resort and Convention Center. Three local students made it to the Scripps National Spelling Bee finals this week, and color us impressed. The spellers are seventh-grader Shruthika Padhy from Cherry Hill, N.J., sixth-grader Navneeth Murali of Edison, N.J. and seventh-grader Phoebe Smith of Aston, Pa. All three made it top 16 of the bee, qualifying in 12th, 5th and 11th places, respectively. Karthik Nemmani, 14, an eighth grader from McKinney, Texas, won the bee when he correctly spelled the word “koinonia,” a term the Merriam-Webster dictionary defines as a Christian fellowship or body of believers. His first-place prize this year is $40,000 cash, a fancy trophy and a spot on the ABC talk show Live With Kelly and Ryan. Padhy misspelled the word "paillasson," a woven synthetic straw used to make hats. Smith misspelled "cabalassou," the word for a giant armadillo. I still frequently misspell the word Wednesday, so way to go kids!